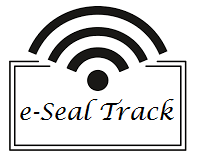 Using the latest Products and cutting edge technology, we bring to you a solution to Seal & Track Shipping Containers using RFID Tags. Approximately, there are 16 million containers in the world that travel miles and carry tonnes of products both in value and weight. We have the solution for efficiently Sealing & Tracking those containers content from any device all over the world. Modern interface With multiple interfaces and unparalled bandwidth, accuracy and speed is never an issue. Easy to use The UI is designed keeping in my mind the end user, who will be independent in using the software anywhere. Free updates With the Rules & Regulations constantly updating, we will cater to your growing needs with free updates. Convert any smart phone using the RFD8500 Sled. Thus giving you the ulitmate power to access the data through your smart phone.